Okinawa is one of the places in Japan that is still rarely visit by tourists. Even though Okinawa has things that are unique compared to other Japanese regions. When you visit Okinawa, you will feel that you are not in Japan, because there are many different things from Japan in general, from weather to culture. 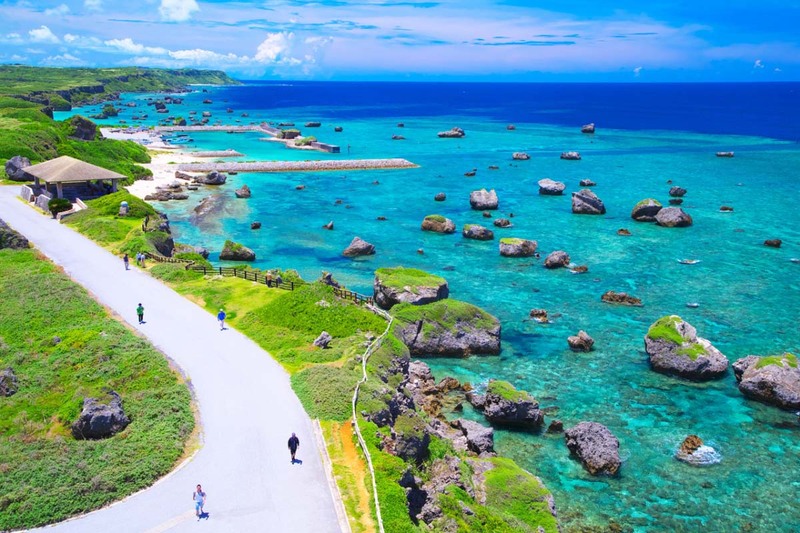 The following reasons, you must make Okinawa as the next tourist destination. As mentioned before, Okinawa is very different from Japan in general. Starting from a different temperature, Okinawa is the only Japanese sub-tropical region, with a temperature range of 26-29 degrees Celsius. Okinawa has its own accent, which is different from Japanese in general. This is because the Okinawa kingdom was formerly different from the Japanese empire before the 19th century. Besides that, the trust of the people of Okinawa is not Shinto, which is the majority trust in Japan. Okinawa people’s beliefs are a mixture of Buddhas and Saints. Beach groups in Okinawa are among the best in Japan. Not only white sand and blue water, the beach flanked by two of the world’s great seas has a beautiful coral reef habitat. Also read: The Most Powerful Japanese Passport in the World, How is Indonesia? Every summer, beaches in Okinawa start to be visit by diver to see the beauty of the underwater. Some of the beautiful sea beaches in Okinawa are Yonehara Beach, Odo Kaigan, Miyako Island, Ishigaki Island, Yaeyama Island, and many others. Getting to the south, nature in Okinawa is getting more natural with beaches that are rarely “touched”. The other time of the beginning of the year holidays, the uniqueness of Okinawa is the process of blossoming open cherry blossoms or cherry blossoms before other Japanese regions. This is because the position is closer to the equator. Cherry blossoms in Okinawa can bloom from early January to March so that it coincides with the early holidays of Japanese society. When you will visit Okinawa wit your family ?